Omg, my dog thought I was crazy yelling at the TV. Awesome horse. Really Happy for Mike Smith too. BaroqueAgain1 wrote: Which horse? Are you talking jock or pony horse rider? Sometimes the pony riders keep stroking a nervous horse to comfort/distract them. I bet she means the commercial with guy with the watch. It's only run about 100 times. Dammit. What awful news. The Mosses must be heartbroken, especially after losing Z's War Front filly as well. I know neither loss had anything to do with genetics, but perhaps try another stallion? Is Medaglia d'Oro a good cross with Z? Foal Watch Day 6. 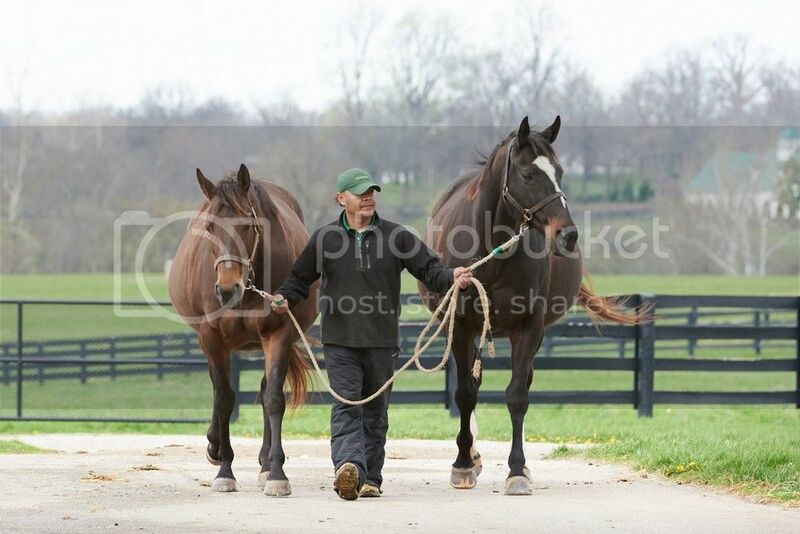 Both mares look like they're ready to pop. Just popped in here and saw this. Hope you mend quickly, Ballerina, and best wishes for a healthy, happy 2016. What horrible news this morning, that brought tears to my eyes. I was so looking forward to SB's return, and feel awful for the connections who were gutted by this tragic happening. Wow. That was impressive. Congrats to you, V, and Fox Hill Farm. Looking forward to seeing what Songbird does at 3.